Peace and blessings be upon His Chosen One, the Prophet Muhammad, and his pure and immaculate progeny. The first point was on the role of the Husayni pulpit, especially in the days of Muharram. He advised that the message of the pulpit can be summarized as being – besides the recitation of the tribulations of the holy Household – the propagation of religion and embedding it in the minds and hearts of the Muslims, through the delivery of the teachings of the Quran, and the alleviation of misconceptions and doubts using strong and convincing proofs, and the nurturing of the believers to the path of piety, virtue and exemplary values. This is the very role that God Almighty ordained for His Messenger (s), who was the first to ascend onto the pulpit of Islam. The Quran expressed his role in saying, “He is the One who sent unto the inhabitants of Mecca a prophet from amongst themselves, who recites to them His revelations, and purifies them, and teaches them the Book and the Wisdom, although they were before in clear error.” (62:2) This noble verse indicates that the prophetic message – for which the pulpit was the means of delivering it – was focused on establishing the religion through the cleansing of the souls and their purification from the filth of darkness and spiritual and ethical illnesses, the presentation of Quranic teachings, and the instilling Wisdom in the hearts. Similarly, the greatest purpose of the Correctional Movement that was led by the Master of Martyrs (a) was to protect the religion of Islam and to entrench it, in opposition to the Umayyad plans which were founded on destroying the central pillars and values of Islam as is evident from many proofs that can be ascertained by referring to the historical texts. Indeed, his revolution stood against that dangerous conspiracy, and his message and sacrifice was for the greatest of all purposes: the protection of religion from decline and distortion. 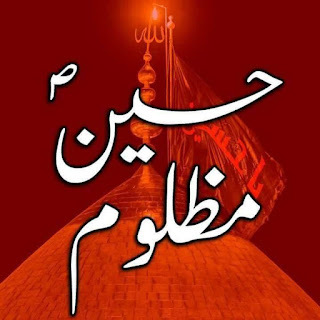 I believe that were it not for the sacrifice of Imam Husayn (a) in such a great manner in such a sensitive time, there would be no remnant of Islam worthy of mention surviving today, as the Umayyad plan was thought-out and they were close to achieving their goal. 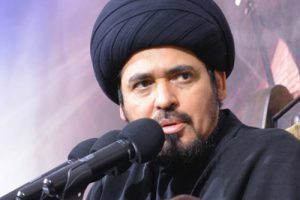 As such, the Husayni pulpit is an extension of the fateful day of Imam Husayn, and its role and function focuses on religion – fortifying it, defending it, teaching it and nurturing through it. Firstly: The speaker who has put himself forward to deal with the misconceptions should be one who is proficient in this field, equipped with expertise and have plentiful information. Otherwise, it is possible that such a speaker will cause more harm than benefit. The pulpit is one of the main means of alleviating the misconceptions and doubts from the true path. The Prophet (s) and the Commander of the Faithful (a) would not only present the religious teachings, but would also stand on the pulpit to remove the misconceptions and doubts which were in the minds of some of the Muslims – either due to the closeness of those days to the era of Jahiliyya, or arising as an effect of foreign ideas entering Muslim society. From this, the importance of the role of the Husayni pulpit becomes clear. It is the extension and continuation of the message of the Holy Prophet (s) and Imam Ali (a), and this necessitates that the one who ascends onto the pulpit has the appropriate competency, qualification and scholastic worthiness of doing so. Secondly: The misconceptions are of two types. Some are well-known and widespread, and others are present but not so common except within a smaller circle. It is therefore appropriate – rather, it is necessary – that one undertakes to deal with the well-known misconceptions amongst the people in a direct way. As for the misconceptions that are not known in wider circles, then it is not wise to present them and explain them amongst the masses. Rather, the correct way to alleviate them is for the religious preacher to form a solid concept related to the subject area by which the misconception is alleviated from the minds of those familiar with the issue, without there being the need to express it and comment on it directly. Fourthly: It is necessary to make the most use of the knowledge obtained from the Ahl al-Bayt (a) which has been narrated from them in reliable ways and trusted sources. It has been narrated from them (a), “If people knew the beauty of our words, they would surely follow us.” Their beautiful words comprise a complete and comprehensive ideological system, like the Holy Quran. In them are great pieces of wisdom, teachings of ethics, concepts that awaken logical capabilities and remove misconceptions, things that illuminate the Muslim and make him confident in this faith and religion. This is what is expected by necessity from them (a) being the second of the two weighty things alongside the Holy Quran, as expressed by the narration of al-Thaqalayn and others. 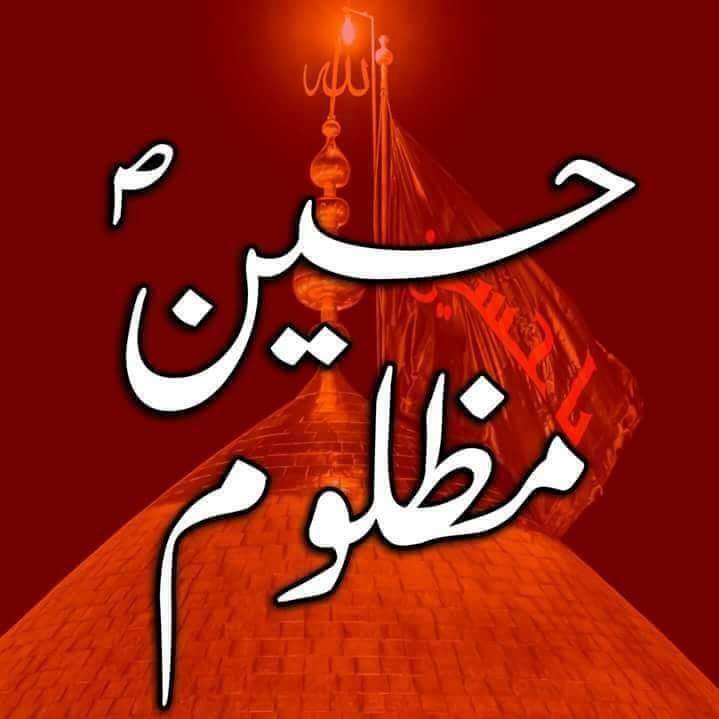 Therefore, it is incumbent upon the preacher of the Husayni pulpit to give due attention to this aspect in his oratory, just as it is incumbent upon him to give due importance to the calamities and tribulations that befell the Ahl al-Bayt (a) in the tragedy of Karbala, for it has an extraordinary effect in keeping the story alive in the hearts. We pray to Almighty God to provide His divine support to all the speakers in undertaking their role in the best possible manner, and to discharge their duties in fortifying the religion and purifying the hearts of the Muslims, for He is the All-Hearing and the Respondent to supplication. *His Eminence Sayyid Munir Al-Khabbaz is a scholar of advanced studies in the Islamic Seminary, and a student of the Grand Ayatullah Sayyid Ali Al-Sistani and other prominent scholars of the Islamic Seminaries in The Holy City of Najaf and Qum. 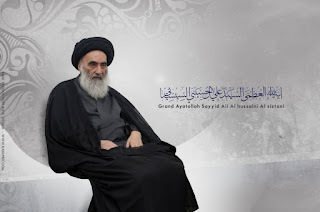 Upon his visit to the Grand Aytullah Al-Sistani last month, he was given the following message to be delivered to the speakers and lecturers of the Husayni pulpit. Nairobi - A Kenyan bishop has converted to Islam and turned his church into a mosque. "My church was known as Nyalgosi God’s Call Church of East Africa, but it is now Nyalgosi Jamia Mosque,” Bishop Charles Okwany, now Ismael Okwany, told The Nairobian. "During my tenure as a Bishop, I travelled to Malindi, Mombasa, Nairobi and Tanzania to preach the word of God. "I used to take advantage of the opportunity to study the conduct of both Christians and Muslims living in the areas, and it made me conclude that Islam is better,” he added. 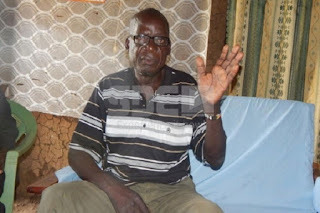 Okwany began his journey to Islam by visiting a Muslim leader in Kisii County to whom he explained his intentions. He was then referred to Rangwe Imam, Mustafa Saoke. On September 26, Okwany converted to Islam and was joined by 23 other members of his church. Currently, the mosque has a population of 63 people after 30 Muslims who were in the entire Kagan ward decided to register their membership. Becoming Muslim, Okwany wants to study to know more about his faith. "I will go for a theological training on Islamic religion to enable me to preach the word of God in Islam,” he added.